There are long ways and short ways to make magickal oils. Some practices require heating, other’s don’t. 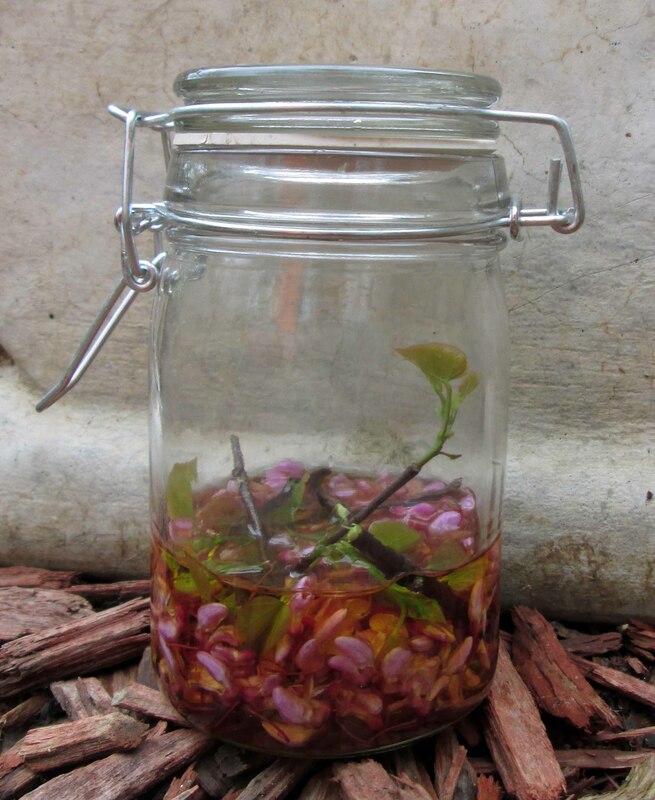 I recently took a trip into the woods to gather dogwood flowers, leaves, and bark for a Braucherei oil blend to show my Granny Magick students. Leaves, flowers and barks can be placed in your chosen carrier oil. Not only is the oil great for secrecy and protection, it has a compendium of healing associations including workings for restful sleep, healing wounds and broken bones, breaking fevers, meditation, and eliminating infection. Look to nature when you are contemplating choices. She will guide you. This morning I was out walking the dog, contemplating what all I wanted to get done today. I’ve been working on the Granny Magick course and wanted to post some historical information for the students on their blog. My thoughts were spinning so I didn’t notice the butterfly at first — I thought it was just a leaf fluttering in the crisp, morning air. The dog stopped and raised his head, and so I took another look at that leaf and realized it was a large, golden butterfly. Butterflies, to me, have always brought messages. They let you know that information is on the way. The color of the butterfly can tell you what kind. 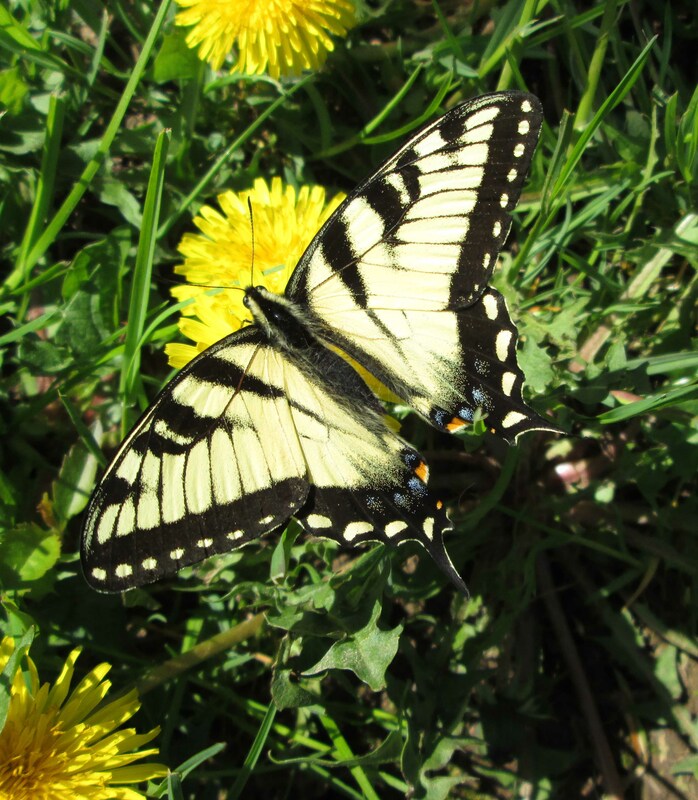 “Stay there…please…”, I whispered to the butterfly. I quick ran inside and grabbed my camera as I have always wanted to get a good pic of some of the gorgeous ones I’ve seen and have never managed to snap one just at the right time. Lucky for me, the butterfly stayed put. Very slowly I inched up behind him (her?) snapping pictures as I approached — and I finally got a good one! Nature will speak to you, if you only pause to listen. Butterflies are spirit beings of hope. Do enjoy!